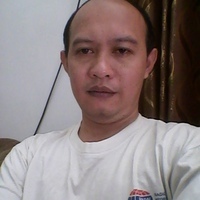 On Wednesday, April 10 2019, Ali Mashuri will defend his dissertation entitled “Dealing with separatism conflict in Indonesia: Examining an interactive model of conflict de-escalation and resolution” at 13:45 in the VU Aula (promotor: prof.dr. Mark van Vugt; Co-promotor: dr. Esther van Leeuwen). Click here for more information on his dissertation. Hope to see you at the defense!